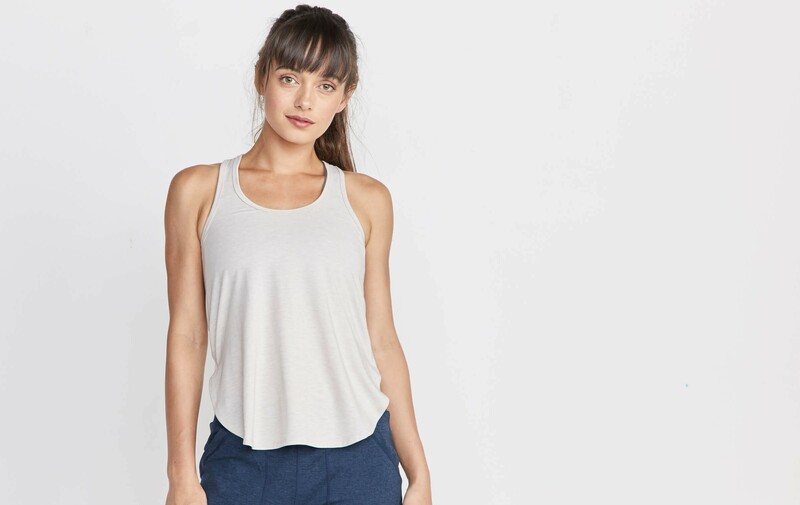 An insanely soft performance wear tank that’s designed to hide sweat and dry fast. Hot yoga ready. We're using a new fabric here that we're really excited about. 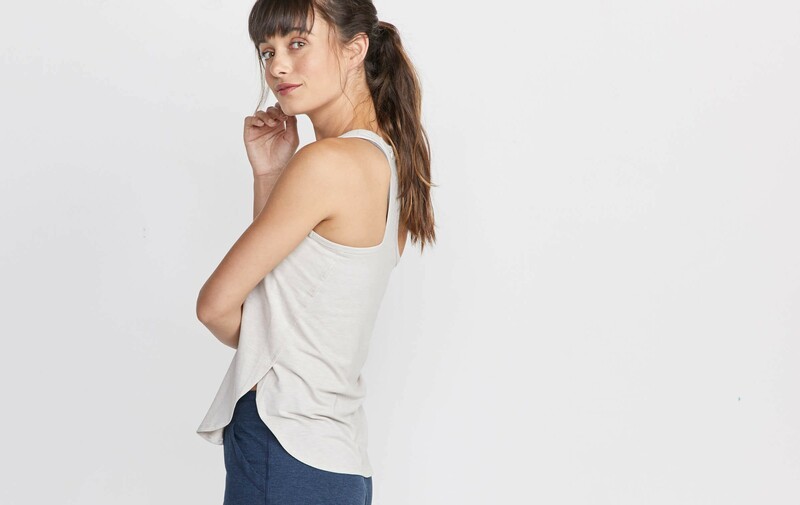 It’s a flattering, drapey blend of poly, tencel, and spandex for a performance fabric with a really soft handfeel. And it’s moisture-wicking (read: makes you look less sweaty and keeps you cool).